7.1.5 introduces a new Bonus Event: Mists of Pandaria Timewalking. 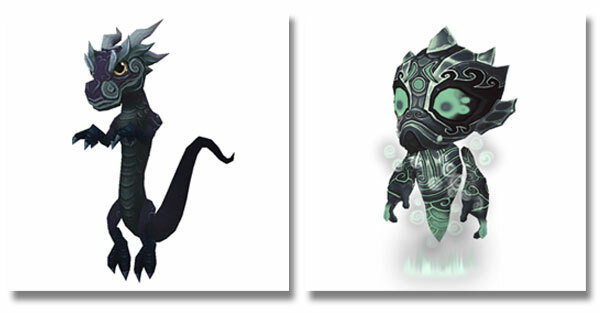 Two new pets will be available for purchase during this event, Infinite Hatchling and Paradox Spirit (pictured above). Both of these pets are Bind on Pick Up and not cageable, so better save up those Timewarped Badges. In addition to this new event, an older feature received an update and is being re-released in this patch. 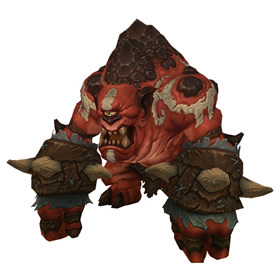 The Brawler's Guild is back with new challenges and rewards! Tylarr Gronnden (pictured right) is a new pet purchasable from the Brawler's Guild quartermaster. According to a Wowhead guide, this pet requires Rank 3. With the return of this secret fight club, Clock'em is now also available again. Previously this pet required Rank 4, however it now only requires Rank 3. The price for it has jumped significantly, 500 gold up from 30 silver. 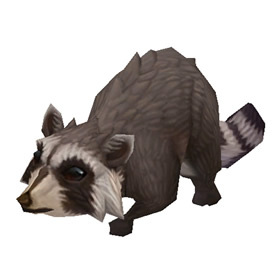 Last but not least, the fourth newest pet is Trashy (pictured left). Mage turned fisherman, Conjurer Margoss, is now selling this lovable little critter for 50 Drowned Mana. Margoss seems to have quite an attachment to Trashy; players can only purchase this pet if they've earned Margoss' trust and are Best Friends with him. If you're in need of more Pet Charms and other Pet Battle consumables, look no further than Boon of the Zookeeper! Boon of the Zookeeper is a new shoulder enchant sold by Draemus, located in Breanni's shop in Dalaran (Broken Isles). The wearer will sometimes loot Pile of Pet Goodies from defeated creatures. It can contain pet related items such as Pet Charms, bandages, and treats. It's unknown if it will also drop new or older pets. Well, you get one quest starter drop per event per character, which is worth 500 badges when you hand it in. If I recall, you also get around 100 badges per dungeon, but that may be a bit high. Ideally, you would have started saving badges on two characters when the pets were announced in November, but the MoP Timewalking event seems to be scheduled for March 7. There are two more Timewalking events prior to that. Between those two events and the MoP event, you should have 1500 badges, simply from the quest turn-ins, not including the dungeons that you run. Basically, if you start saving right now, you should have no difficulty reaching 2200. Just remember to use two characters to make it easier! If the 2200 timewarped badges number is correct, how long would it take to farm that number to buy 1 pet? According to PTR info, people are indicating that the MoP Timewalking pets will cost 2200 Timewarped Badges each.